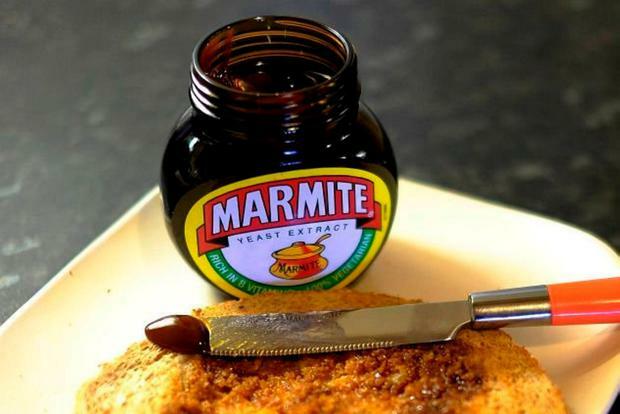 Love it or loathe it, Marmite may actually be good for you - really, really good. If you're a bit stressed or anxious, reach for a slice of toast covered in the yeast-based spread and it could reduce those feelings, according to new research. It suggests that the high levels of vitamin B in Marmite could relieve stress and anxiety. The study, from the University of Victoria in Australia, questioned 520 people about their consumption of yeast-based spreads (YBS), diets and symptoms of stress, anxiety and depression. It found that people who regularly eat YBS such as Marmite showed lower stress and anxiety levels than those who did not. The effect has been credited to the spreads' rich vitamin B content, which is also found in the Australian YBS, Vegemite. Researchers concluded that while the spreads significantly lowered scores of anxiety and stress, they had no effect on symptoms of depression. Vitamins B6, B9 and B12 were cited as particularly beneficial, as they can help regulate neurotransmitters in the brain that control our mood and prevent the production of homocysteine in the blood, which can lead to stress and anxiety. Participants each completed a survey that analysed their dietary and lifestyle habits. The study is the first to find scientific proof that YBS can alleviate stress. "We know these extracts contain some of the world's richest sources of B vitamins, which are essential in keeping our bodies energised and regulating the nervous system," said lead researcher Vasso Apostolopoulos. While the results are promising, he insisted YBS should not be viewed as replacements for medical treatments. Missing the sunshine: Are Vitamin D supplements the cure-all to avoiding deficiency?